Orders placed before noon C.S.T. will be processed the same day. Orders after noon will be processed the next business day. In-store pickup items will be processed in 2-4 hours. You will receive a text or email notification when your item is ready for pickup. 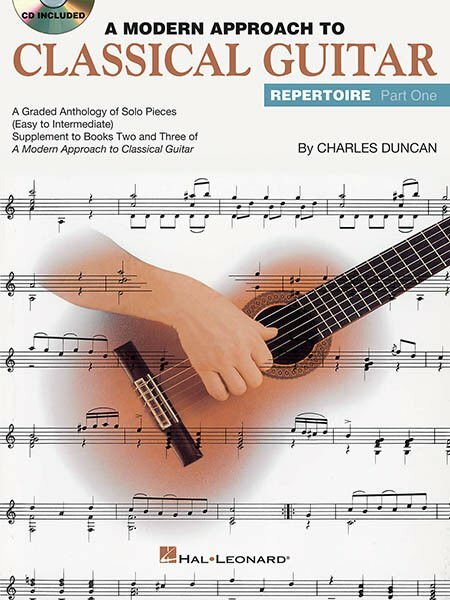 A graded anthology of solo pieces ranging from easy to intermediate level. This collection can serve as a supplement to Books Two and Three of A Modern Approach to Classical Guitar or to any classical guitar method. It features works by Calvi, Carcassi, Caroso, Carulli, Diabelli, Purcell, Sor, Telemann, and others. The book includes access to 48 online tracks for demonstration and play-along. The audio is accessed online using the unique code inside each book and can be streamed or downloaded. The audio files include PLAYBACK+, a multi-functional audio player that allows you to slow down audio without changing pitch, set loop points, change keys, and pan left or right.